Expectations`s delivered. 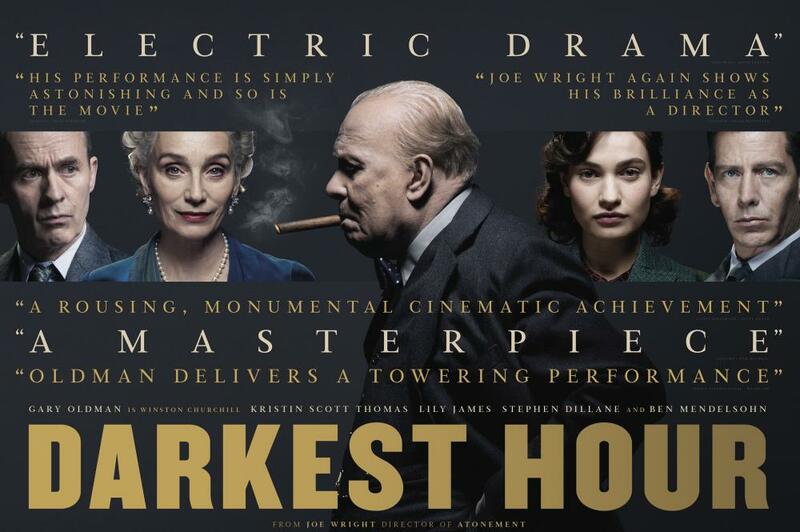 Darkest Hour proved to be serious, fair and captivating movie with a row of brilliant roles. A strong personality in history is a victorious but dangerous theme for filmmaking. Sometimes it`s easy to dive into populism, parody or politicized stamps. In my view, authors managed to leak between the devil and the deep sea and shown Winston Churchill not only as an iconic leader of his country but also like a person who is familiar with feelings and doubts. 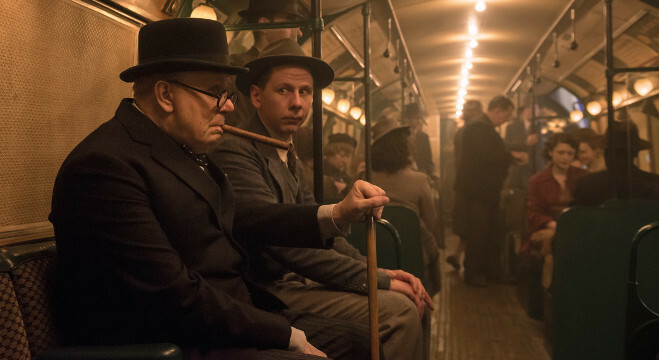 Gary Oldman played his genius in portraying Churchill looking totally different. He received his well deserved Golden Globe as the best actor this year. 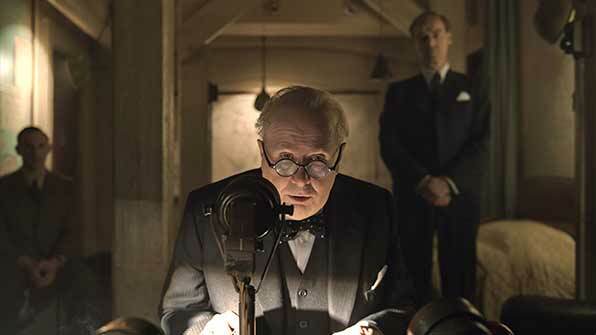 Given the Globe as the Academy Award`s general rehearsal, it`s easy to assume that Darkest Hour will be among the Oscar race leaders this year. 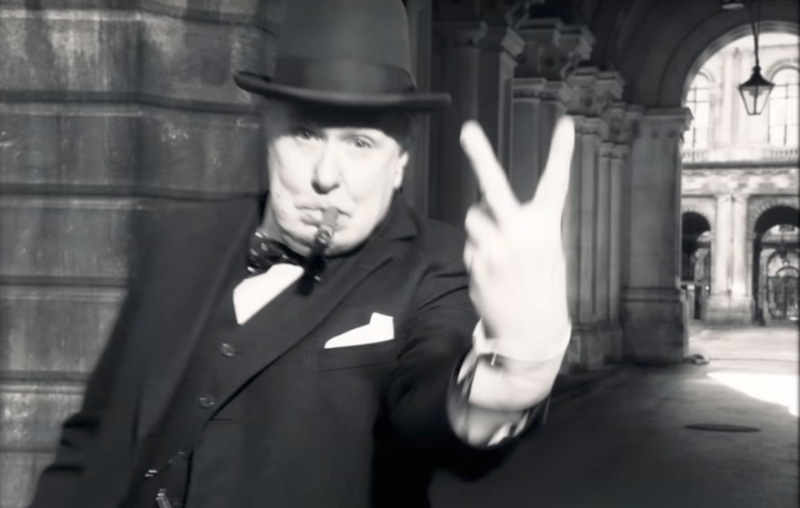 Gary Oldman is absolutely convincing as Churchill. I trust him when he is wandering around his house wearing a bathrobe and slippers on, when he drinks whiskey (frequently and in good portions), when he mutters, smokes cigars, mumbles something while dictating his speeches, screams at his secretary, delivers his speeches in parliament or at military council meetings, speaks to the King, elaborates the Dynamo Operation for saving the Dunkirk troops, talks to ordinary people in the London subway, lets himself into doubts and takes the crucial decisions. May of 1940 was a truly darkest hour for Britain: Europe was veiled by the black shadow of Nazism. The German armada was taking European countries one by one in a blink of an eye, meeting no resistance. Churchill got control over the British government and the Ministry of Defence in desperate times, when country faced a threat of invasion and loss of independence. Churchill did not meet appreciation among MPs, he had powerful rivals like Lord Halifax (Stephen Dillane) and Neville Chamberlain (Ronald Pickup) who backed the idea of talks with Hitler. 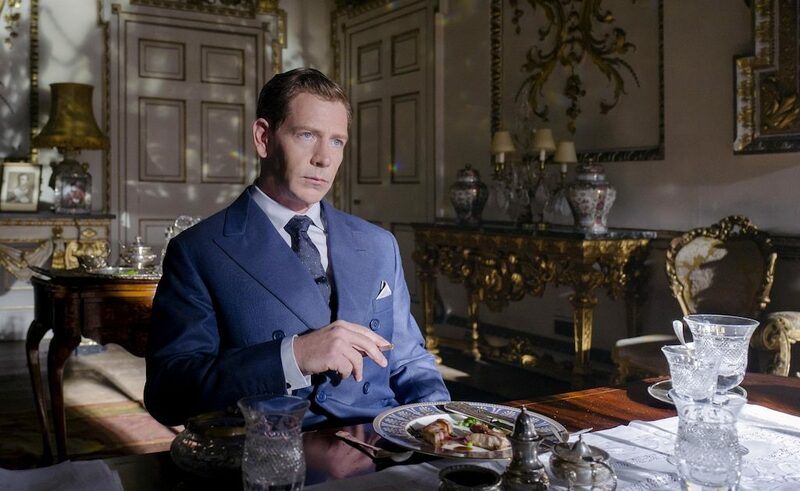 King George VI (Aussie actor Ben Mendelsohn) did not feel much sympathy towards Churchill at first and approved him as Prime Minister in a total dead end. The episode of audience in Buckingham Palace has been set quite tricky: announcing the promotion to Churchill, the King shakes hands with him, but a second after hides his palm behind his back wiping it off his suite. Pressure against the newly appointed Prime Minister and the King was strong: they tried to persuade Churchill to launch talks with Hitler, and attempted to make the King flee to Canada with his family to become a monarch in exile. Both proposals meant to be a salvation but proved to be miserable and humiliating. Worries that lied upon those two men`s shoulders and a sky-high level of responsibility made them leave controversies and mutual dislike behind. In hour of deep concern the King made the first step towards – he paid a secret visit to Downing Street to talk without royal ceremonies. They take the only right decision: never get involved in a historical crime like talks with the aggressor, never leave their country and never abandon their people. Never never never surrender. Both Gary Oldman and Ben Mendelsohn demonstrated deep interest in their characters, these were not just another roles for them. To portray a real historical person a pretty piece of research is needed to be conducted. Actors have to watch documentaries, chronicles, read memoirs and newspapers to ‘catch’ their characters, to study their habits, gestures, even tiniest details of smoking manner, or clothing style, or speaking specialties. Both actors made their talents shine as Award`s gold in their roles. I`ve heard that Ben Mendelsohn usually speaks with a slight Australian accent, but his King George speaks perfectly British with cute stutter. 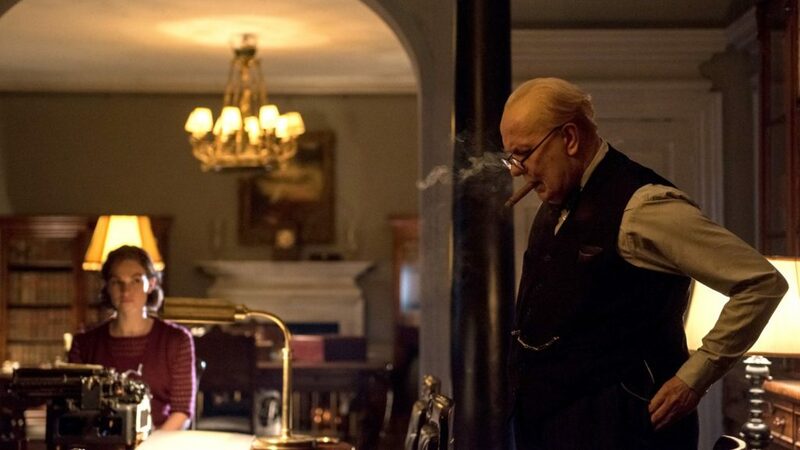 And there is no more cinematic Churchill after Gary Oldman`s brilliant performance. That is what is called true acting professionalism. I enjoyed both female parts as well. 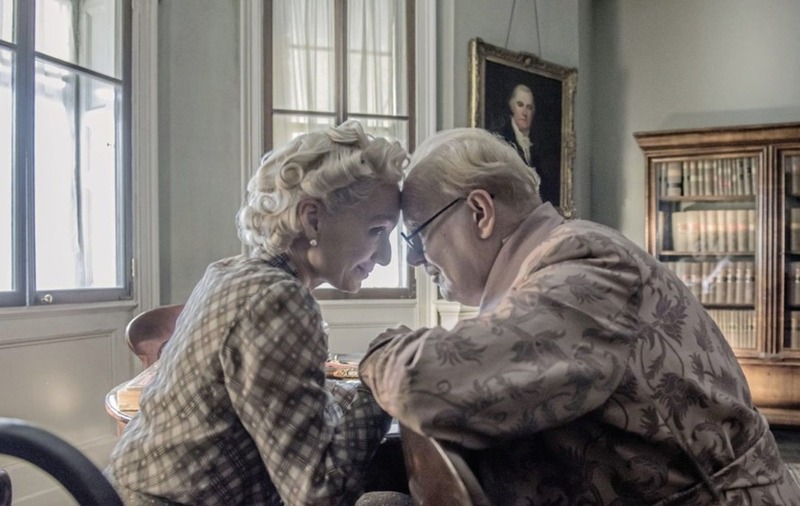 First of all, Churchill`s wife (Kristin Scott Thomas) Clementine is shown as a tender, smart and strong woman who supported her guideless husband and sometimes led him back to the path by giving hidden hints and softening sharp corners. That marriage was perfect like those iconic parts of an apple which collided once since the first time they met. Joe Wright`s film outlines the sincere and heart-melting relationship of two loving people on the same page. Age is not the enemy when people are united by same interests, goals, worries and concerns. The second female part – Churchill`s secretary Elizabeth Layton – is well done by Lily James. The nice and responsible girl is afraid of her unpredictable boss but adore him as well. Her first day in service turns into a nightmare due to Churchill`s neurotic mood and her own fear, her hands are trembling, she misses the keypad on a typewriter, cries in despair about failing her responsibilities. Anyway she proves to be strong enough to get used to her work regardless the time it takes and exhaustion it brings. Director and writer have not even composed a boyfriend for her – darkest hour is not the time for love stories. And this decision seems to be right, any side lines could affect the plot following the chronology of global history. A few words about visual perception of the film. It id made in a kind of retro colors, there are no bright pictures in it. The screen is like being faded with a spider web, the dust of time. That is the trend of modern movie-making – to make films look ‘older’ instead of coloring them. This effect of an old photo involves the audience deeper in the time of the story, if there is a candle or a pale lamp on the screen it will make you squint and feel the atmosphere of darken streets and cold houses. Today`s cinematography tends to match the time it depicts not in characters` style and clothes but also in such a fragile matter as light and shadows. And this contributes to shaping the atmosphere of the film quite a lot. 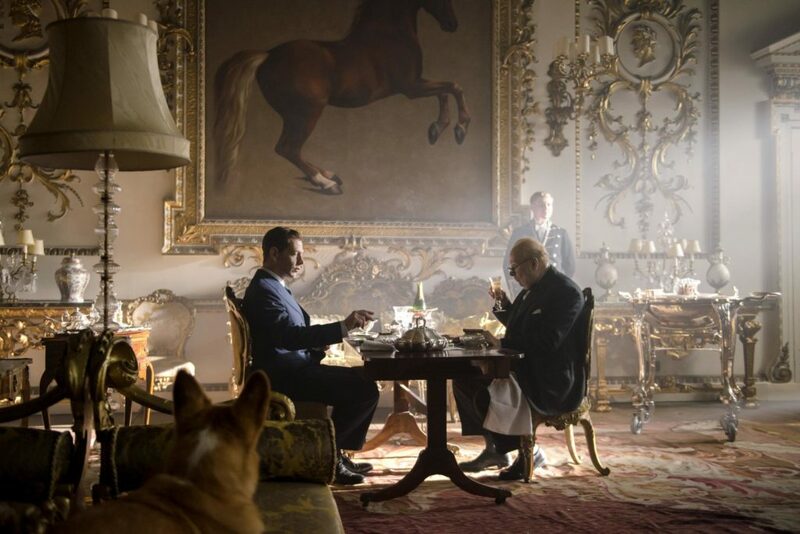 Film creators were precisely attentive to the main character`s biography and did not missed the chance to show Churchill`s sentiment to Jock, his cat. The ginger favourite was the only creature he could kneel at, there is a funny episode of the Prime Minister grabbling around the floor trying to talk the cat into getting out from his hideaway under his bed. The film is fairly made in correspondence with true facts, naming the things as they were. Comparing to Dunkirk with its nameless enemy Darkest Hour is more sincere and more historically bounded. It is not simply and impressive picture on the screen, it is a story of the leader`s fate going hand in hand with the fate of his country. It is never impossible to enter the history by betraying the country and leaving people to face the enemy alone. The leader`s way is about the ability of taking responsibility for crucial decisions that could change the world even in the darkest hour.